A Year of Being Here: Muriel Rukeyser: "A Little Stone in the Middle of the Road, in Florida"
Muriel Rukeyser: "A Little Stone in the Middle of the Road, in Florida"
You know what can lift me up, take me right out of despair? "A Little Stone in the Middle of the Road, in Florida" by Muriel Rukeyser, from Out of Silence: Selected Poems. © Northwestern University Press, 1994. 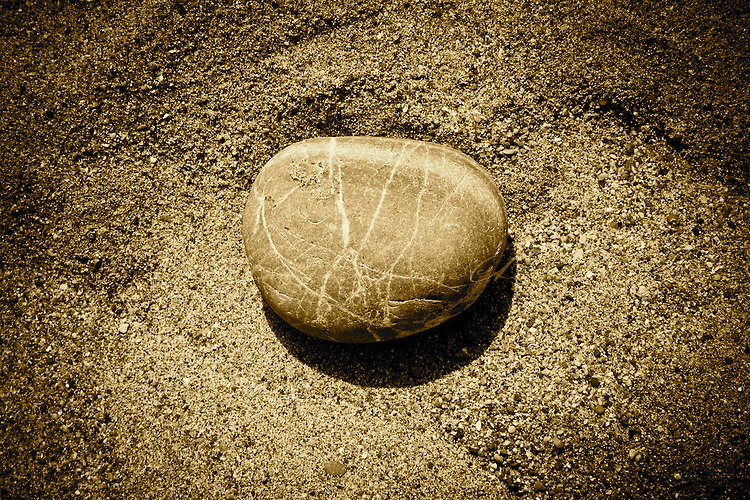 Photograph: "Single Pebble on Sandy Beach," by Marie-Louise Avery (originally color).